Tucked away inside the city limits of Grand Haven in southwest Michigan. 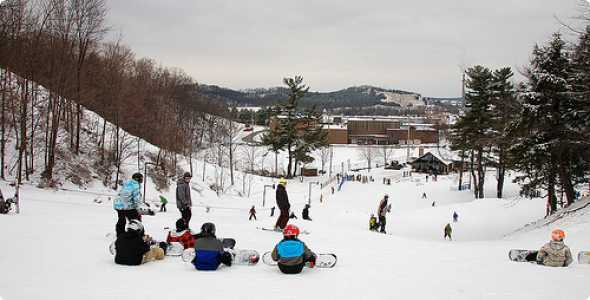 Established in 1960 as a way to provide the community with affordable winter snow sports with a family atmosphere. Being a community owned and operated ski area, Mulligan’s Hollow hours of operations are limited during the weekdays, with the area open all day on the weekends. Rates are very reasonable and remain the same throughout the season with minor increase for weekend and holidays. Both group and private lessons are available for skiers and snowboarders of various levels and are offered in different sessions throughout the season. Events vary from rail jams to racing and adult league nights. Tuesday Night: Night skiing & riding 18yrs and older until 9pm.